Social media platforms have changed the way we do business today. Facebook, Instagram, LinkedIn and several other popular platforms have bridged geographical distances and expanded the reach for every business. Social media marketing brings in great possibilities and opportunities for growth and success. With a larger target audience and a wider outreach, a business can easily aim to be a globally recognised brand and not just a local business. Instagram is one of the newest but probably one of the most popular platforms today. The growth and popularity of Instagram can harness immense positive results for any business. Like any other social media platform, Instagram too has its specific needs and ways of marketing to achieve best results. Contrary to popular belief, Instagram is not just about pictures, even though visual attraction is the first point of contact. While most people think that a good looking visual and a catchy caption is all one needs to get attention on Instagram, there are many more tools and strategies that are required. 247 Digital is a Digital Agency that offers social media marketing services to help businesses expand and maximise their reach. Our Instagram marketing service has been especially designed to help people enjoy the maximum benefits from a globally used and recognised platform. With one of our Instagram marketing expert by your side, you can be sure to make a powerful impact on Instagram and be in complete know how of your competitors and target audience. We will help you analyse and execute the most effective strategies that will enhance your Instagram marketing initiatives. Our team of Instagram experts understand the specific needs to make a mark on Instagram, and will provide tailor made solutions to suit your industry requirements. Every business is unique and we believe in offering unique solutions to all our valued customers. Why hire an Instagram marketing expert? 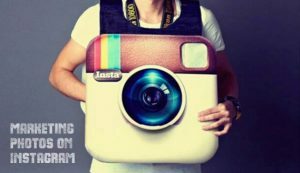 With the rapid success of Instagram, our Instagram marketing service has become highly in demand. 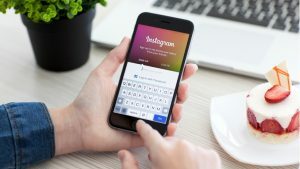 As more and more businesses understand the potential and possibilities of Instagram, our experts have been designing custom strategies for many clients. The scope of Instagram marketing is wide and extensive, to be able to harness the maximum benefits it’s important to be consistent, creative and have a complete understanding of what your target audience wants. Our Instagram marketing expert will ensure that your business gets globally recognised and brings in the attention and success you deserve. To get started book a free consult by calling (03) 86091078 or filling the enquiry form!